There are many people who play a part in the Friars story. It's not my place to try to write Friars history, but there are a number of people whose contributions to the website are very welcome. More should be added over time. Some of these people have also kindly written pieces for the website. 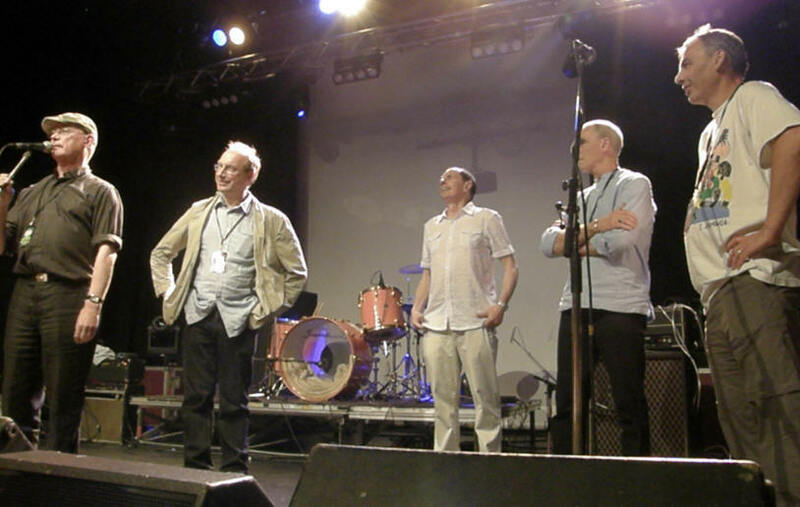 L-R - Robin Pike, Jerry Slater, David Stopps, Terry Harms, Adrian Roach, the founding fathers. Without doubt the most important person here. 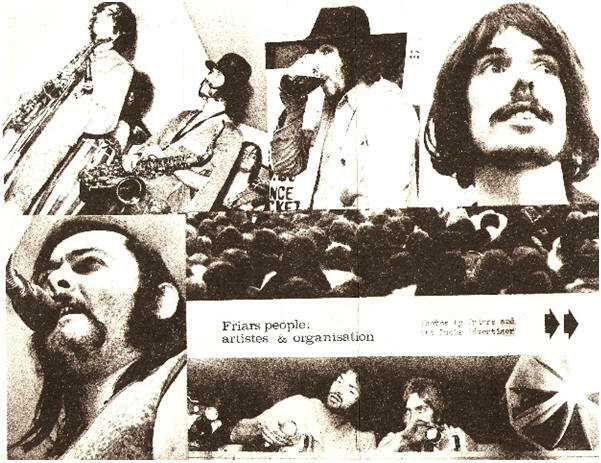 The promoter of Friars Aylesbury (and the other Friars gigs). Took some huge personal risks in presenting some of the bands and gigs you see listed in this website and without these risks, Friars may never have got past 1971. Today, he is still fronting Friars Management Ltd, most notably still managing Howard Jones after 28 years and a respected member of many music committees and international forums which takes him round the world by special invitation for his talks and workshops. David Stopps started his career as promoter of the famous Friars Club in Aylesbury. From 1969-84 he presented pretty much everybody but notably David Bowie, U2, Genesis, The Kinks, The Jam, The Ramones and The Clash amongst many others. In 1982 he went into management originally managing Marillion then Howard Jones and later still The Fat Lady Sings. These days he still manages Howard Jones who continues to make albums and tour and who has now sold in excess of 8 million albums worldwide. He also manages Miriam Stockley who as the featured singer with Adiemus has sold in excess of 3 million albums. Together with his business partner Joseph Stopps he also manages dance mash-up mavericks The Young Punx and Italian multi-genre dance genius Phonat. Stopps is Director of Copyright and Related Rights for the Music Managers Forum UK and for the International Music Managers Forum. He is also a member of the British Copyright Council and is the United Nations representative for The International Music Managers Forum at WIPO (the World Intellectual Property Organisation) in Geneva. He is often on tour and has already completed extensive tours of USA, Canada, Japan and Australia in 2007/8. At WIPO he represents all featured artists worldwide concerning new international treaty negotiation in the field of copyright and related rights. 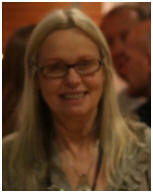 Stopps is also a member of the Performer Board and the Main Board of UK related rights collection society PPL. 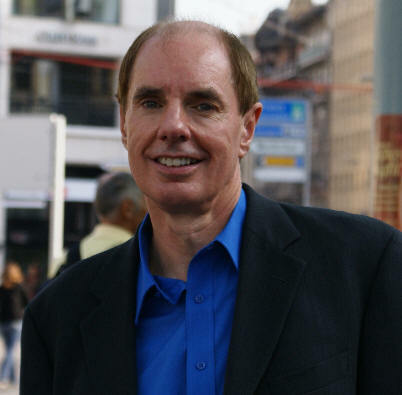 He is the author of the book "How to make a Living from Music' which was commissioned by WIPO mainly targeted at the developing world, and which was published in September 2008. In May 2008 he received the MMF Roll of Honour award in London. 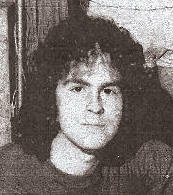 Budget worked in tandem with David presenting the Friars gigs between 1971 and 1984. Budget is also the person responsible for most of the iconic posters that adorn this website and adorned Aylesbury town centre and (often well) beyond for all those years. Kris was there from the start - one of the very first members, he designed the logo that became part of the membership cards and the tickets themselves. 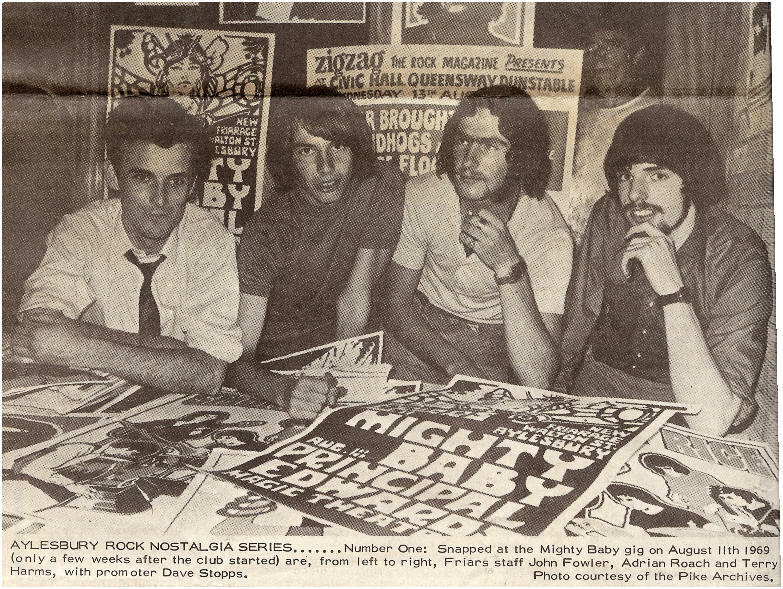 Kris went on to become editor of Zig Zag and friends to many Friars musical legends (Mott the Hoople, Ramones etc). 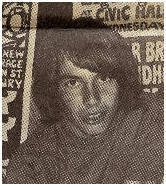 He is still a journalist (writing for Mojo - the May 2008 edition has a Needs penned piece on the rise of Blondie including a Friars flyer from 1977) and DJ. Kris has also written a piece on Phase 2 which can be seen here. Kris has also written a piece on Phase 3 which can be seen here. As mentioned in the Phase One introduction, Robin had his finger on the pulse right from the start and continued to be involved with Friars all the way through. A local science teacher, today Robin lives in Hertfordshire in semi-retirement. Robin has suggested to to try to piece together a comprehensive history of Friars, it would take ten years. It has to be said that based on what we have unearthed so far, one is minded to agree. Thankfully the website's main intention is to document the gigs - even that will take ten years ! He has kindly written a piece on Phase One for this website which can be seen here. Further to this, Robin has also written a piece on Phase 2 which can be seen here. Further to this, Robin has also written a piece on Phase 3 which can be seen here. Adrian was one Friars founding fathers. 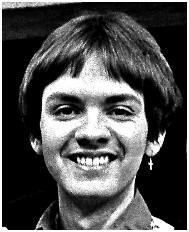 No stranger to the Aylesbury music scene from a young age, no doubt influenced at school by a certain Robin Pike. 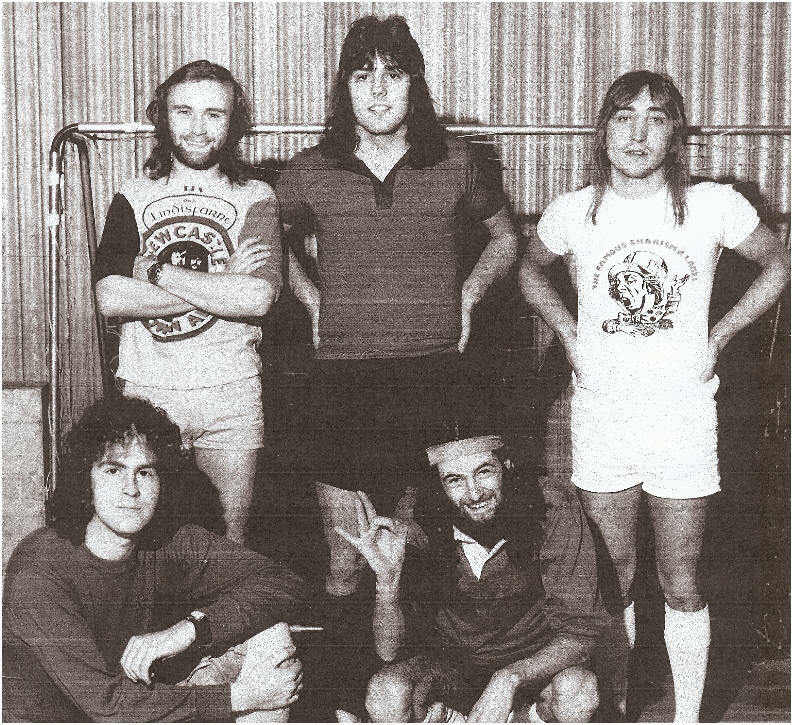 Adrian (along with Jerry Slater and Terry Harms) joined forces with Robin, David and John Fowler to form a committee to start the Friars club. Adrian had been promoting in Aylesbury at the time. The webmaster met Adrian in June 2008 and can confirm that he has an amazing memory and collection of stories especially from the early days and over time, some of these will find their way to this website. He also demonstrated his legendary talent (as he had done at Friars on stage many years ago) of playing well known tunes using only his head and a microphone. Amazing. John has been a very important figure but not everyone will realise that. John has been venue Operations Manager right throughout the Phase 2 and Phase 3 period and takes his well earned retirement in summer 2008 after being with the Civic Centre for 33 years. In his time, John has had to deal with many a problem and has many a good story, some of which could not be legally featured on this website ! The Ramones on their first appearance in 1977 were found by John in the Civic Centre kitchens raiding the fridge for example. 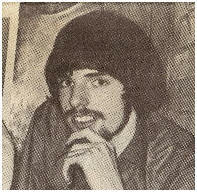 Paul Conroy was one of the leading lights at Charisma Records and helped break the careers of many a band that he as an agent, got put on at Friars. 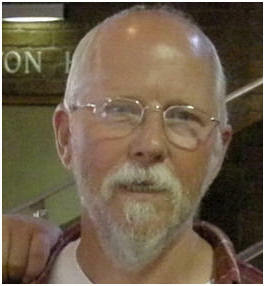 Many people have mentioned him to the website, mainly artistes, which shows the depth of gratitude to him for his work. Paul went on to become chairman of the Brit Awards and now runs his own company Adventures In Music. Paul has written a piece on his 70s experiences with Friars here. Pete was one of the first Friars members and also involved (temporarily at least anyway) with the running of Friars up to the end of the Phase 1 period. Pete is better known for his journalism and books. He founded Zig Zag, worked in the music business and is probably best known for his Rock Family Trees, distinctive well researched documents which have formed the basis for two BBC TV series of the same name. Many bands have used these Trees in their own work, and Man, acknowledging their own existence and numerous line-ups have been quoted as saying their history would give Mr Frame nightmares. Another of one of Friars founding fathers who got involved after running gigs with Adrian Roach at the Derby Arms in Aylesbury and formed part of the original committee. 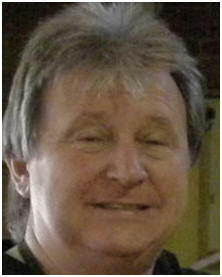 Jerry now lives in Brightlingsea in Essex, teaching film and media studies locally as well as for the Open University. He has also written student text books. Jerry got married in 2007 and it was a bit of a Friars reunion. Terry Harms was best man and Adrian Roach and Robin Pike made up part of the congregation as well as, in Jerry's words, some of the Friars headbashers. 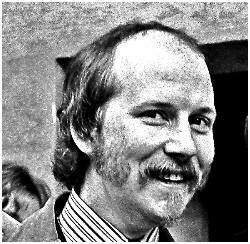 A great many of the pictures on this website taken from The Bucks Advertiser were taken by Geoff from 1975 - 1980. David Stopps had seen his work covering local weddings and asked him if he would like to cover some Friars gigs. This worked well for Geoff as the pictures got into the paper and subsequently some pictures got used in the rock weeklies. After the Bucks Advertiser was taken over by the Bucks Herald, Geoff moved on to Home Counties Newspapers in Luton and then moved to Harlow working for the Harlow Gazette. Geoff retired in 2007 and still lives in Essex. See an introduction from Geoff here.